The Palm house has all the amenities you're looking for in a furnished rental home. Beautiful kitchen, laundry, close to 29 Palms shopping, clean and nicely decorated. Rent includes utilities, DirecTV and Spectrum Internet. The Palm house in Twentynine Palms is a fully furnished two bedroom, one bath home with tasteful decor and amazing surrounds. This home is the perfect solution for your short term, extended stay rental needs or when on-base housing isn't available. Fully appointed with everything you'd need including iron, washer/dryer, kitchen essentials, outdoor living spaces to coffee filters. 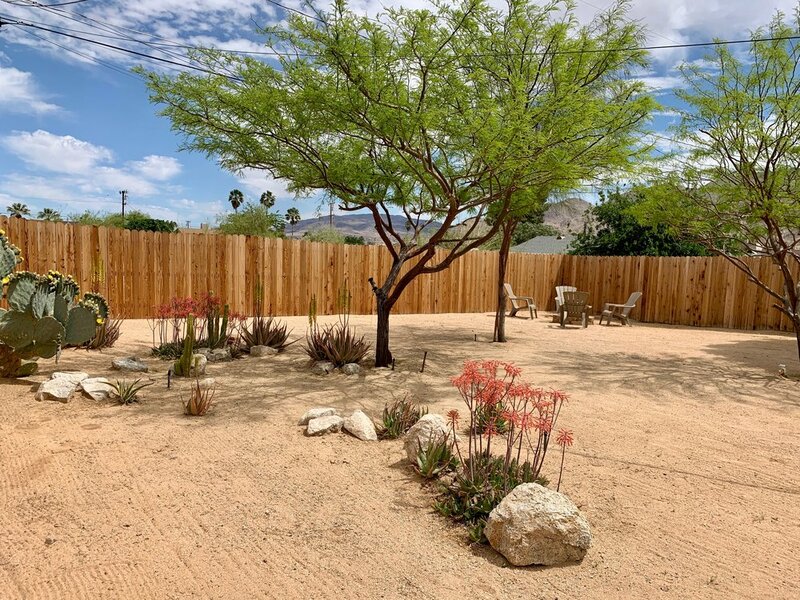 Located on a quiet street close to shopping, 29 Palms Marine Base and Joshua Tree National Park.